A recent report from ChildLine revealed a worrying increase year over year of the number of children seeking out counselling sessions as a result of their concerns about grooming. 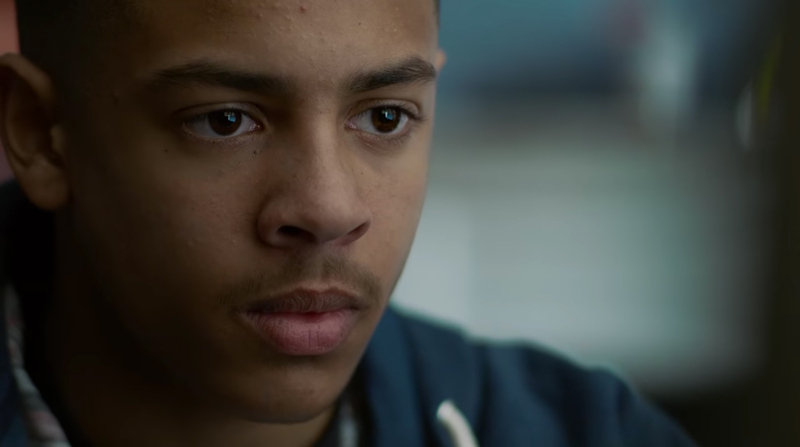 With this in mind, French directing duo Truman & Cooper were commissioned to create The Party and The Game – a pair of films for ChildLine’s #ListenToYourSelfie campaign, which aims to help young people recognise the signs of grooming and unhealthy relationships, both off and online. DN spoke to the directors about the challenges of meeting a brief which understandably needed to strictly adhere to the aims of the campaign, whilst ensuring that the message was conveyed in a manner that didn’t alienate those wrestling with these important issues. For anyone unfamiliar with your work could you explain how Anthony Jorge & Jonathan Cohen became Truman & Cooper? We’ve been friends for more than a decade now, we started playing in a band together. We first chose different careers – Anthony started to work as an architect while I was a visual effects artist, but we always intended to direct at some point. So besides that we started to make videos together, more like experimental videos in the early days and then music videos. It became more and more serious until we decided to become full time directors together. Regarding the name, it’s because we are both big fans of David Lynch’s Twin Peaks and we love the relationship Agent Cooper and Sherif Truman have in the show; Mutual admiration and trust. 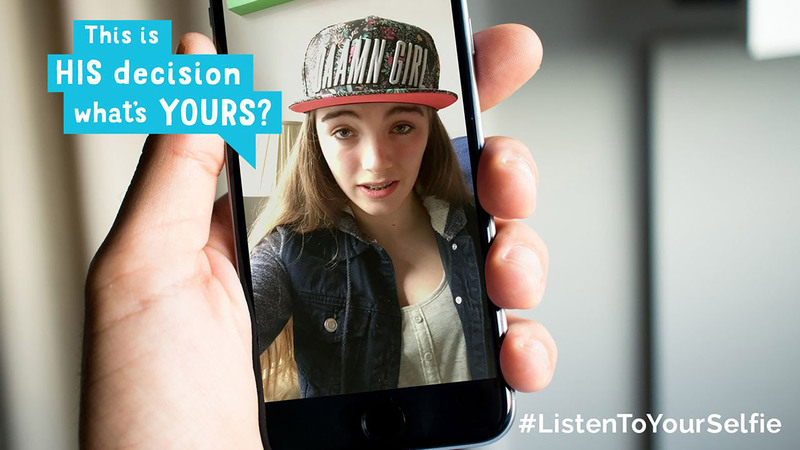 The Party and The Game are part of Childline and the NSPCC’s wider #ListenToYourSelfie initiative? How did the commission come to you? Did your FNSF ad Hide and Seek play a factor? The film came through our London based production company Colonel Blimp. The agency is called Don’t Panic and yes we think that Hide and Seek did indeed played a factor, but mostly it was our music videos including teenagers that was the biggest factor. The agency wanted something that looked very real and knows that it’s very difficult to achieve realism and authenticity with teenagers. So we think that our musics videos for Kid Wise (Miroir & Hope) showed that we could do that sort of thing. As part of a larger campaign focussed on such a sensitive and emotive subject as this what extra considerations did you have to take into account? What were the origins of Laura and Paul’s stories? How much input were you able to have into the scripts and translating the feeling of authenticity to the screen? These stories are based on true accounts, especially Paul’s story. There’s been a multiplication of cases of online grooming and some unfortunately ended tragically and that’s the reason for the campaign, we don’t want this to happen anymore. We’ve were very free to rearrange the script in collaboration with the agency. We wanted to make it feel as realistic as possible because it has to speak to today’s youth and it’s harder for adults to write about that, even if you have your own memories, things are always evolving and today’s youth is not the same as 15 or 20 years ago. So we actually asked the help of young teenagers in our entourage; cousins, brother, sisters… We asked them to tell us about their house parties or their feelings towards boys or girls their age, etc… We continued this process during the casting sessions and the rehearsals. We wanted every word and every situation in the script to be as true as possible. So we worked on the script until the very last minute. We wanted to make it feel as realistic as possible because it has to speak to today’s youth. For all the party scenes there was a huge amount of improvisation. We started to ask them to improvise during the rehearsal and saw that this was really working. The ideas they come up with, all the little details, are always better than what an adult could write. So we gave them general direction about what we wanted and let them improvise, recording very long takes, following the actions as they came. We love to do that because we always get surprised by these kids. Was it difficult to find the balance between needing to have the audience engage with the serious issue of grooming whilst not turning them off from the message by coming across as preachy? We chose to aim for authenticity and realism exactly to not be preachy. We just wanted to expose a situation and people can judge by themselves. Then the idea to have the selfies being like these littles voices in your head was for us a good way to avoid this preachy feeling. The conversation is between her and her selfies, at this stage, no one else tells her what to do. But if she’s still lost after thinking about it, then there’s the number she can call to get help. The final decisions of Laura and Paul remain unseen, why was that important as opposed to seeing them make the ‘right’ decision on screen? We didn’t want to blame anyone for not doing the right thing and say “Look this is what you need to do”. The whole thing is about these inner struggles, these interrogations that are big at this age. It’s more of a maieutic process, we show a situation, expose arguments but you are the one taking the decision in the end. At 13, they are not children anymore and have to take decisions by themselves. I know that you take great consideration when selecting actors for your projects and here both your young leads give very naturalist performances. How did you cast knowing that they needed to deliver these conflicted emotional performances? We spent a lot of time casting because the whole film was hugely reliant on the performances. We cast through agencies but also in schools and street casting. Dan and Lara both had previous experience but Paul had never played in anything. We cast him in a school and we were hit by his very natural performance. On these kind of films we never have a lot of time to rehearse so we always aim for people whose natural personality is the closest to the character we want. Taylor who plays Lara is exactly at this transitional age between childhood and teenager. The way she behaved during the casting even before playing already convinced us.Then to achieve the performance, it’s a mix of rehearsal and improvisation which is a big part of the job as mentioned before. The whole thing is about these inner struggles, these interrogations that are big at this age. How did you arrive at the shared visual aesthetics of the films? What was your set up? Shoulder and Easy rigs only. When we need to convey realism and authenticity we feel that it’s the better method. This is mostly because we love to improvise so we need to be free enough to follow the action even if we don’t know what is going to happen exactly. That gives all kinds of little accidents and delays that we feel reinforce the authenticity. We are currently post producing a commercial that will be out early next year and pitching on a couple of music videos. And finally…what are your thoughts on the return of Twin Peaks?